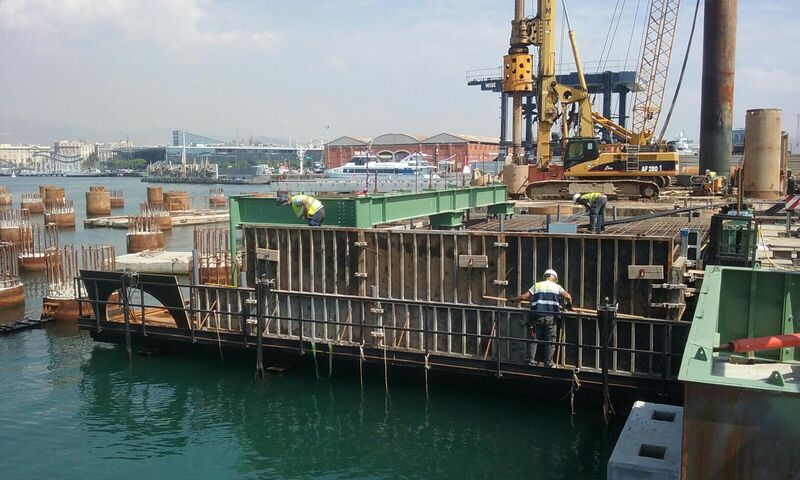 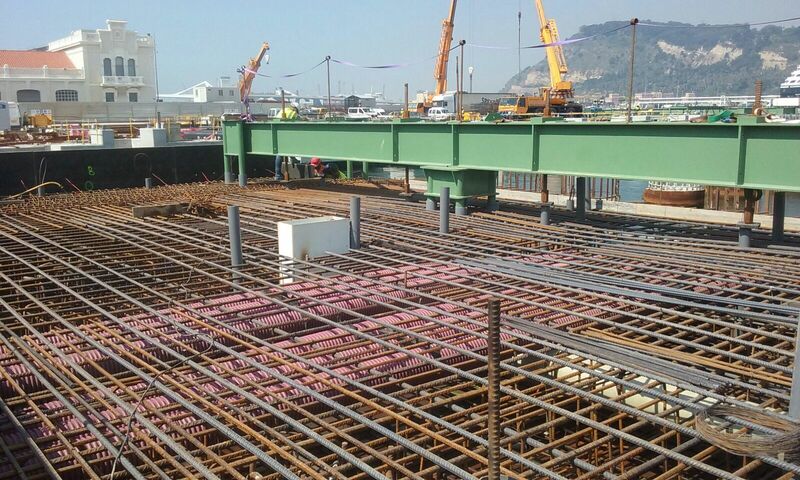 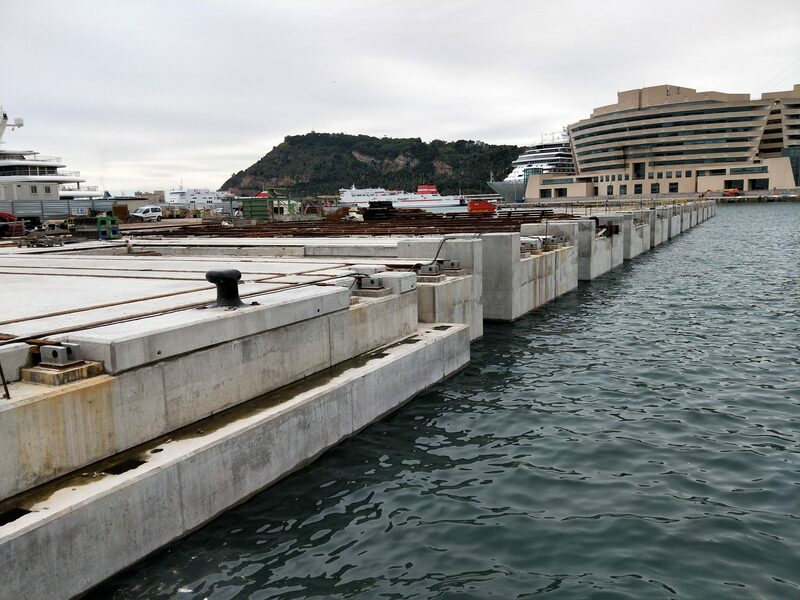 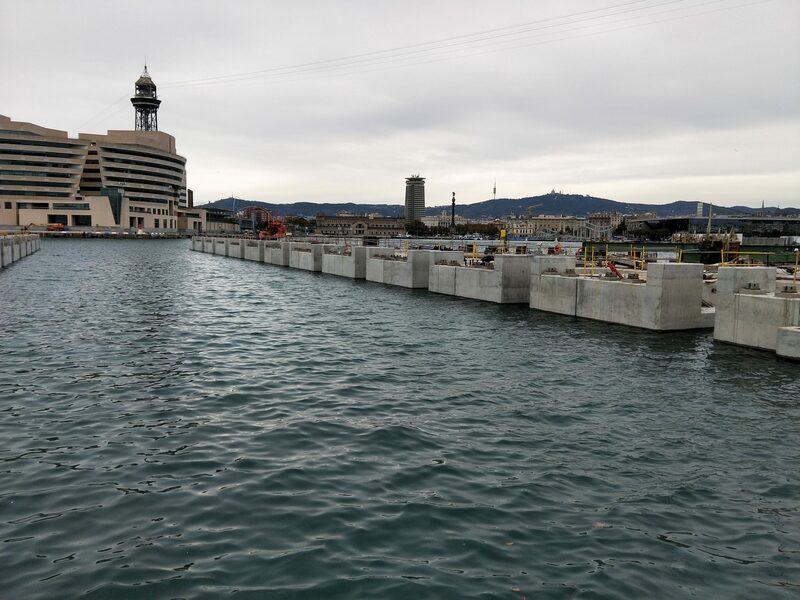 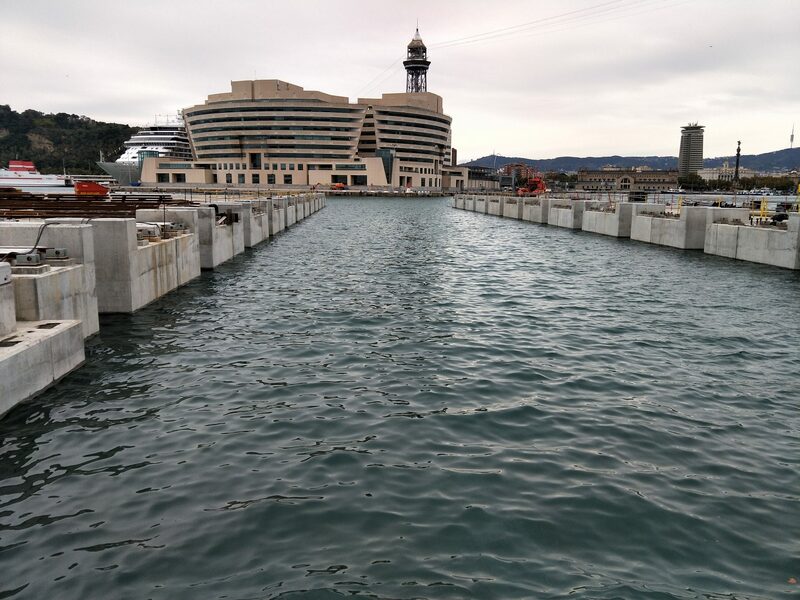 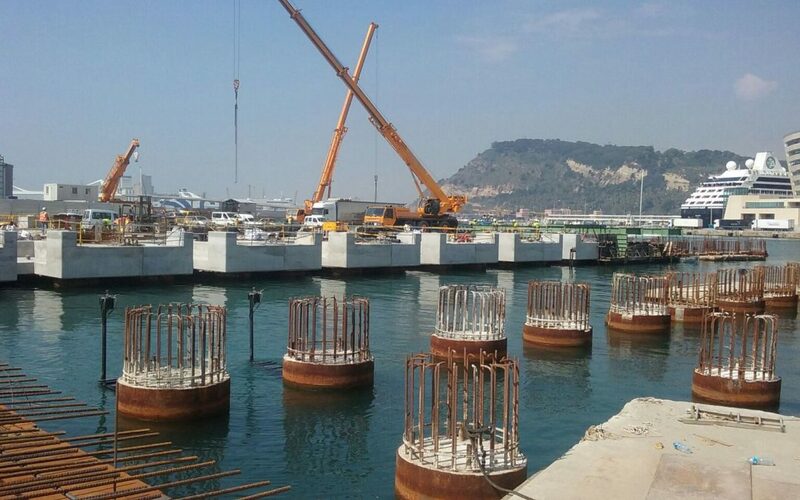 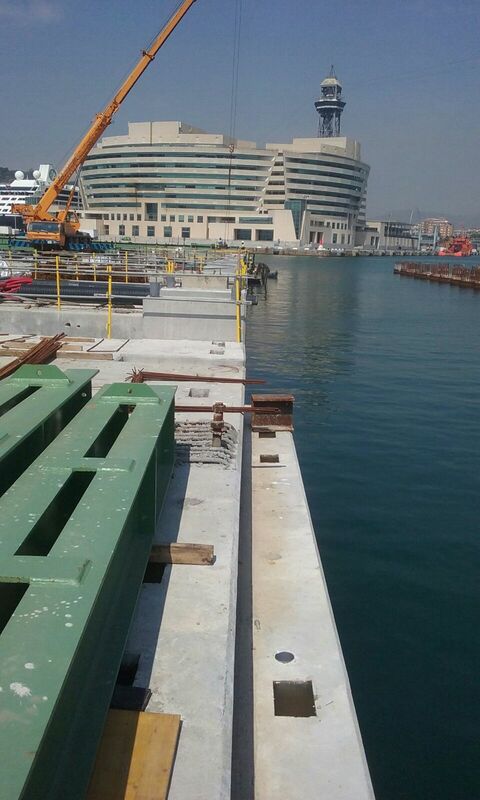 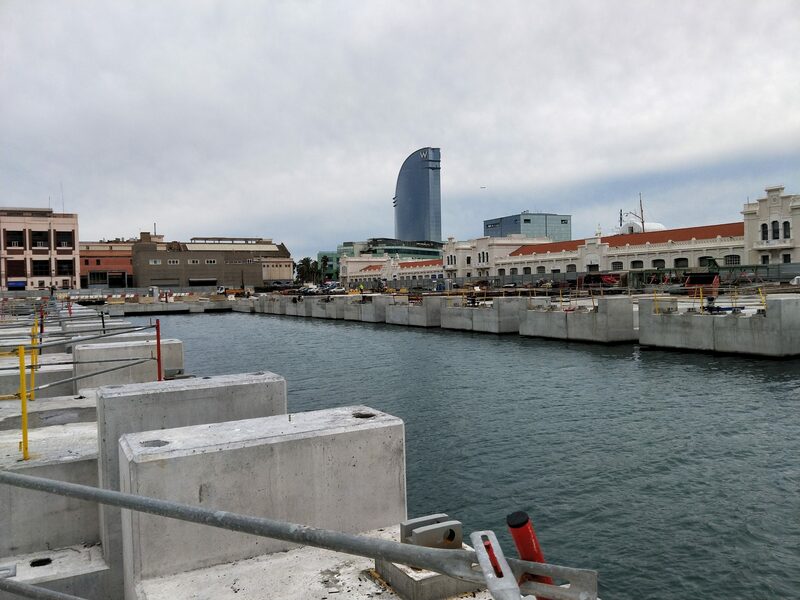 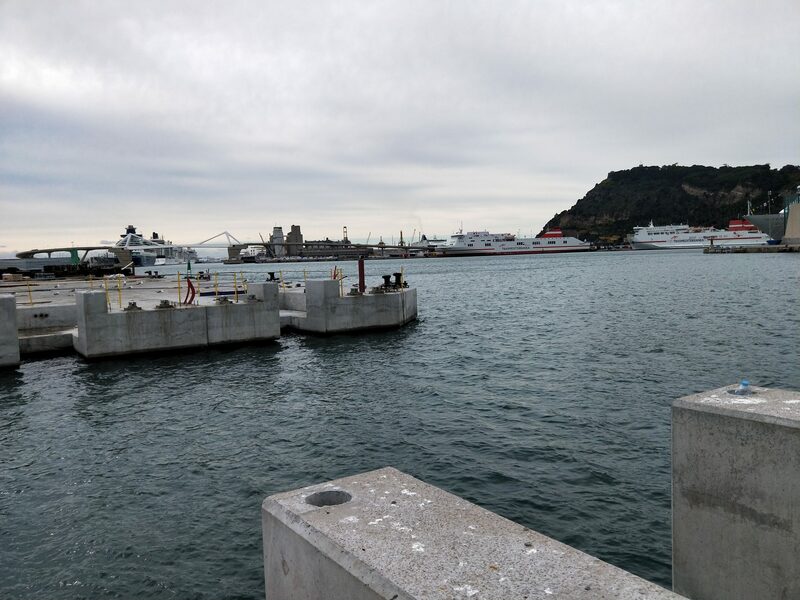 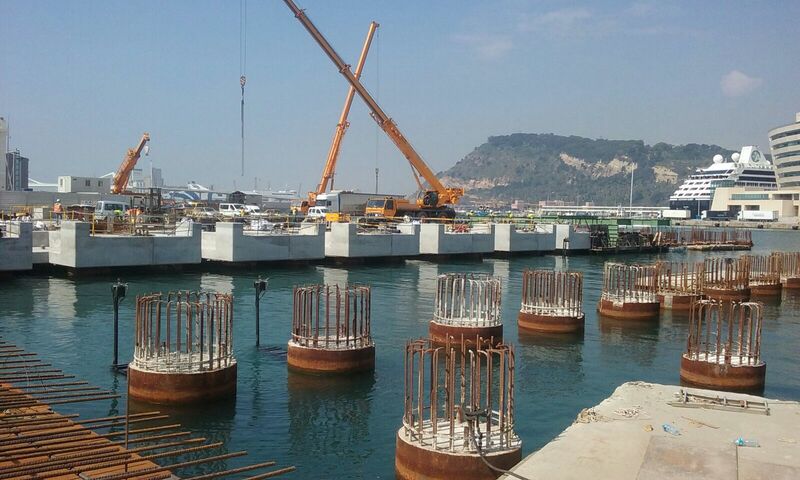 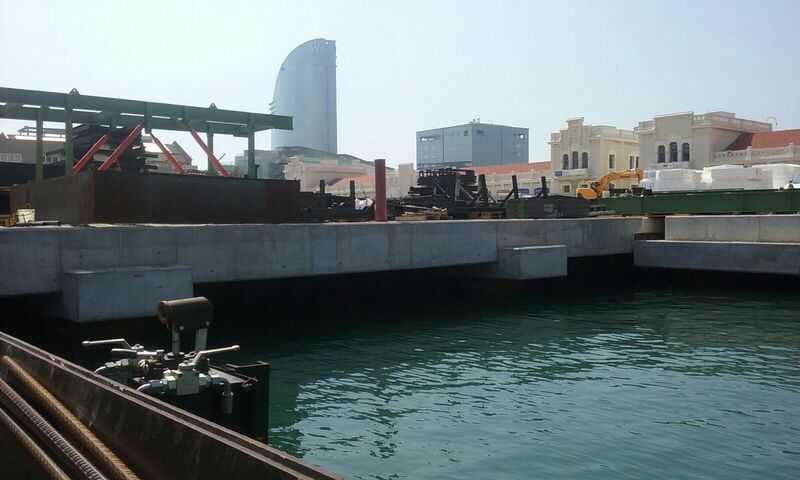 The project consists of two symmetrical docks, in which the construction of the syncrolift zones of both docks was required, as a priority for the rest of the slab. 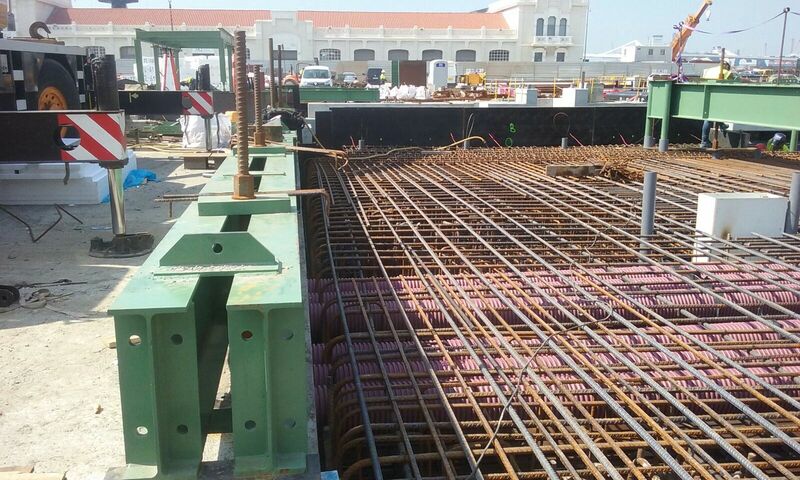 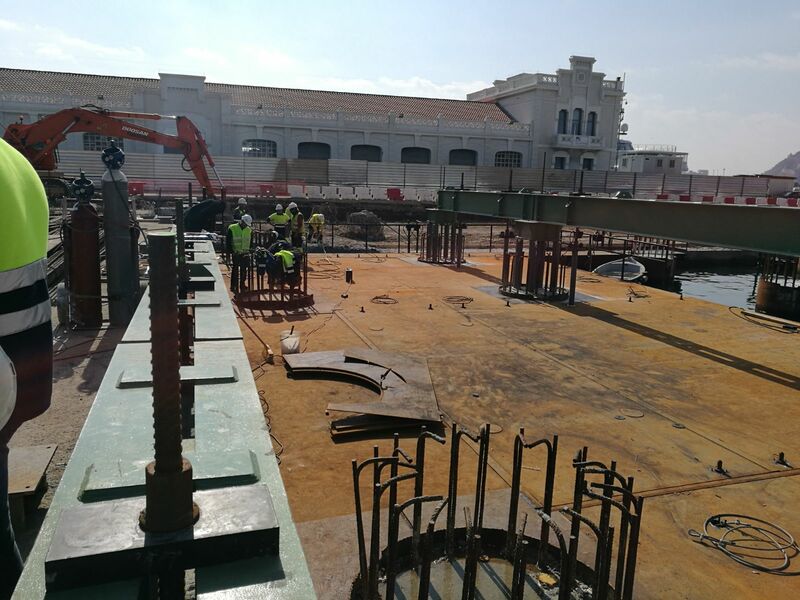 The express delivery time of the property, together with the requirement of the self-launching falsework system determined by the project. 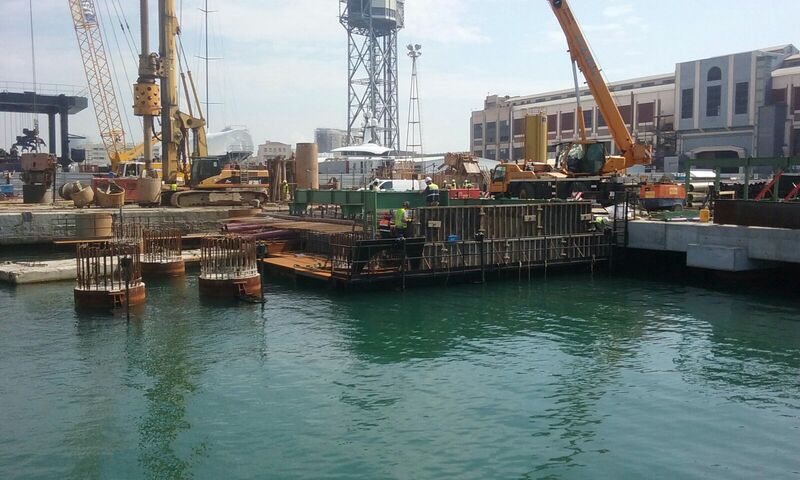 However, the patented self-launching falsework system by Rubrica could not be implemented, and alternative was always sought with a system of boards positioned below the dock to be executed. 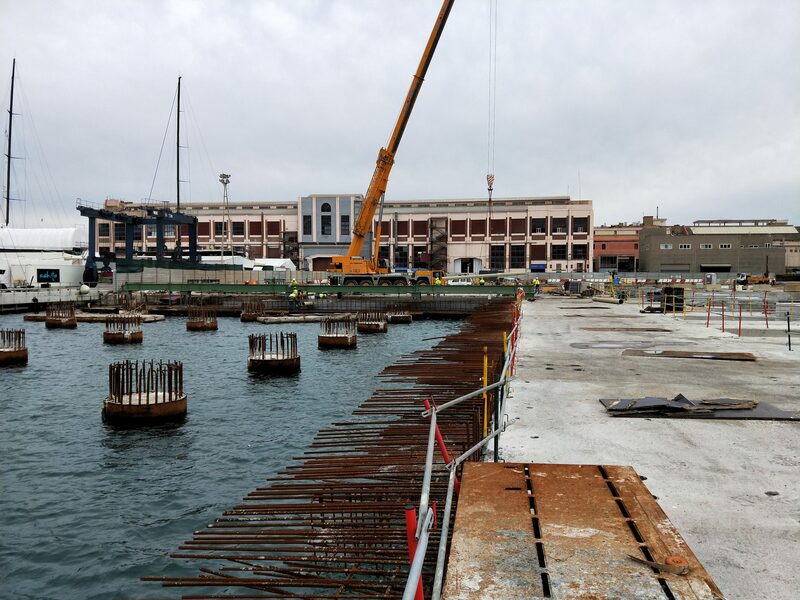 In addition to the delivery times, get a solution that combines floating systems with self-launching systems to be able to execute the necessary geometry in the existing work conditions. 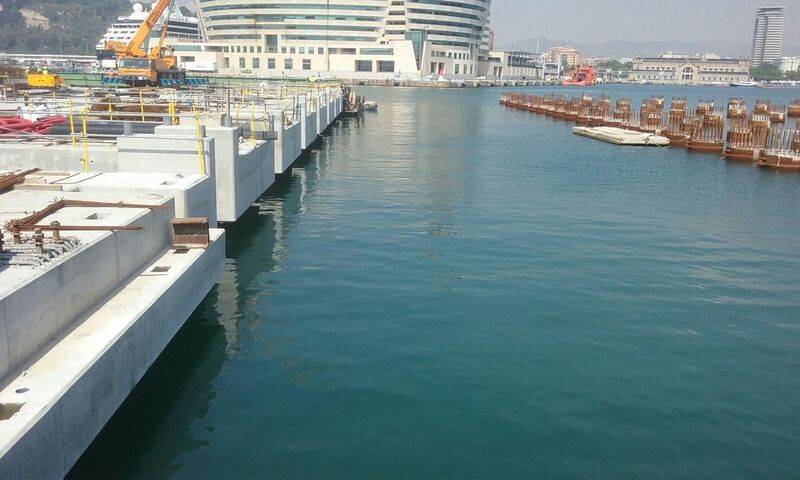 One team worked doing a whole dock continuously, while in the symmetrical dock was executed with two teams, the first that worked in the construction of the syncrolift area, and the second behind completing the section of the dock.